Nothing says classic like that of the yellow gold wedding band. It oozes older sophistication, and it lets others know that you know there is a lot to be admired about the past, including its classic cool factor and subtle sophistication. Our men's designer 5mm traditional fit milgrain 10k yellow gold wedding band is the perfect choice for a groom who prefers the classic things in life. He’s able to relax, enjoy what life has to offer, and spend some time slowing down and appreciating the little things. Despite the low price tag, superior quality of design is evident in this designer 5mm traditional fit milgrain 10k yellow gold wedding band. With subtle details, a classic 10K yellow gold polished dome profile is bordered by exquisitely formed beaded milgrain edges. 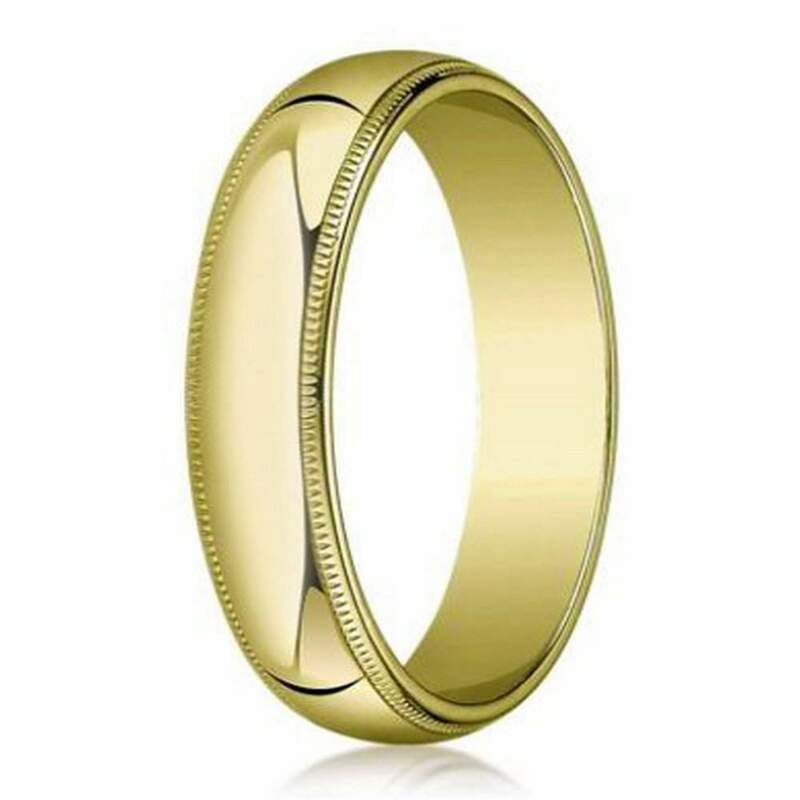 This men's designer 5mm traditional fit milgrain 10k yellow gold wedding band offers style and quality at an amazing price that your budget is sure to love. Mixing high-quality at low prices is one of our specialties, and this ring is no exception. This is a perfect option for adding additional engraving of up to 30 characters, including spaces. Add a touching lyric, the date of your wedding, or initials to make it even more personal. Replacement for lost ring. Delighted with both quality and value. My husband is very pleased too.